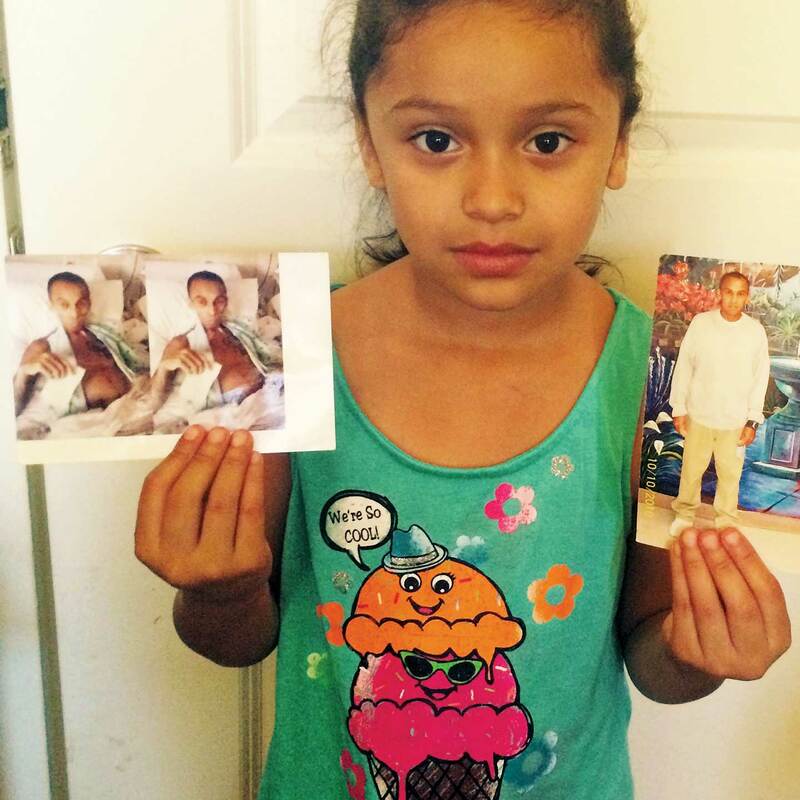 Dozens of men have died in disturbing circumstances in privatized, immigrant-only prisons. The Bureau of Prisons itself says there’s a problem. And yet the privatization scheme continues. Editor’s Note: In a memo released August 18, the Justice Department instructed Bureau of Prisons officials to end or “substantially reduce” all of its contracts with private prison operators, according to the Washington Post. While state-level private prisons have received significant media scrutiny, Seth Freed Wessler’s investigation into the federal facilities—which are used exclusively for noncitizen inmates—offers a rare examination into the willful neglect that Yates’ memo acknowledges and seeks to finally end. Read the full series here. This article was reported in partnership with the Investigative Fund at the Nation Institute, with support from the Puffin Foundation. It will be part of the February 6 episode of Reveal, a new podcast and public radio show produced by The Center for Investigative Reporting and PRX. Read how we reported this story. Where Claudio Fagardo-Saucedo grew up, on the colonial streets of the Mexican city of Durango, migrating to the United States was almost a rite of passage. It was following the stream of departures from Durango in the 1980s that the lanky young man left his family and traveled north. His mother, Julieta Saucedo Salazar, heard that he’d found jobs working as a laborer in Los Angeles. But they soon lost touch. “We did not know much about him, really,” his younger sister told me. In the summer of 2003, immigration agents detained Fagardo-Saucedo on his way back to California, but this time the Border Patrol referred him to federal prosecutors, who charged him with “illegal re-entry,” or returning to the United States after deportation. He served nearly five years before being sent back to Mexico. Again, he tried to return. Early one morning in August of 2008, Fagardo-Saucedo triggered an infrared sensor as he and two others ran across the border near Tijuana. He pleaded guilty in a US District Court to another “illegal re-entry” charge. The judge sentenced him to four years in federal prison. When Fagardo-Saucedo arrived at Reeves, a prison complex in rural West Texas, he entered a little-known segment of the federal prison system. Over the previous decade, elected officials and federal agencies had quietly recast the relationship between criminal justice and immigration enforcement. These changes have done as much to bloat the federal prison population as the War on Drugs; they have also helped make Latinos the largest racial or ethnic group sentenced to federal custody. Until the 1990s, border crossing was almost always treated as a civil offense, punishable by deportation. But in the late 1980s, Congress started to change that. By 1996, crossing the border after deportation was punishable by years of imprisonment, with enhanced sentences for people previously convicted of crimes—most often drug offenses. Though federal investigators have found no evidence that criminalization has reduced the pace of border crossings over the long term, prosecutions for illegal entry and re-entry rose from fewer than 4,000 a year at the start of Bill Clinton’s presidency, to 31,000 in 2004 under George W. Bush, to a high of 91,000 in 2013 under President Obama. By the late 1990s, the flood of inmates from this new class of prisoner, coupled with a raging War on Drugs, sent the Bureau of Prisons searching for places to put them. The BOP turned to private companies to operate a new type of facility, low-security prisons designed to hold only noncitizens convicted of federal crimes. As of June 2015, these facilities—which are distinct from immigration detention centers, where people are held pending deportation—housed nearly 23,000 people. 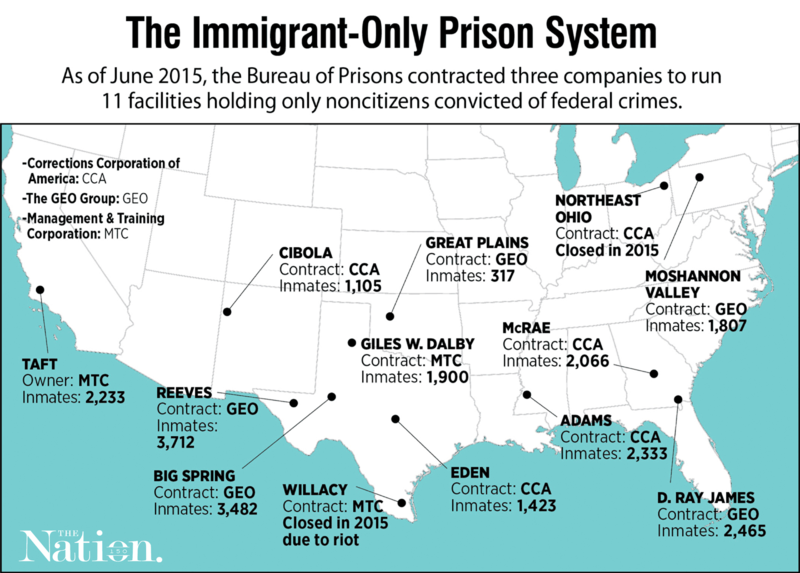 Three private companies now run 11 immigrant-only contract prisons. Five are run by the GEO Group, four by the Corrections Corporation of America, and two by a privately held company called the Management & Training Corporation. 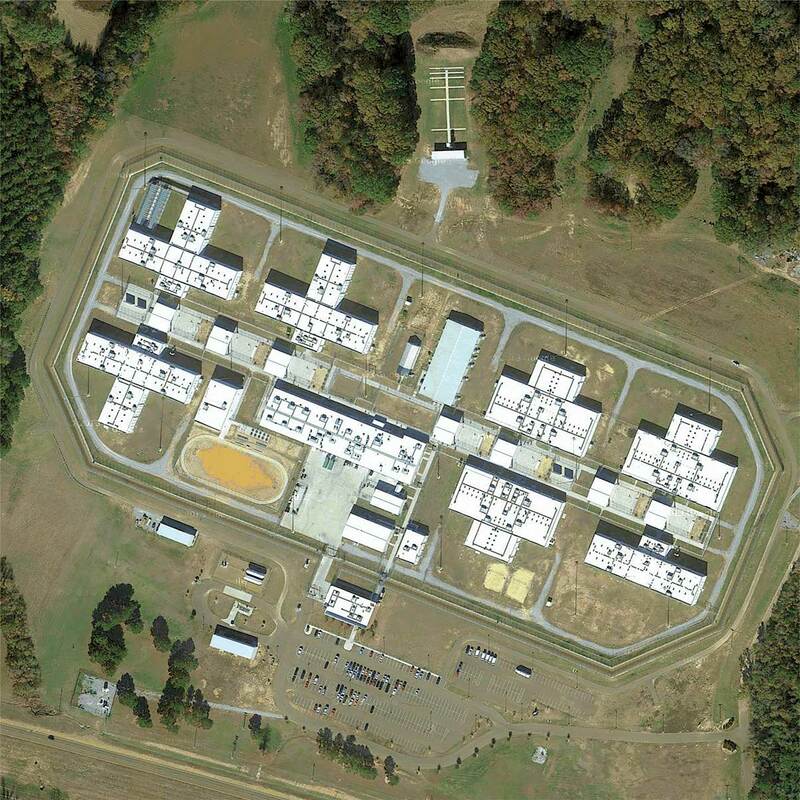 (A third MTC prison was recently shut down after inmates ransacked it in a protest.) Except for a prison largely used to house inmates from Washington, DC, these 11 facilities are the only privately run prisons in the federal criminal-justice system. In 2013, the BOP spent roughly $625 million on them. The contracts include the provision of medical care, for which the companies often hire health-services subcontractors. In one such facility in Reeves County, Texas, the BOP entered into an agreement with the county, which in turn hired GEO to operate the prison and Correct Care Solutions to manage prison healthcare. Repeated federal audits and reports have found these facilities to be in crisis. Prison medical care is notoriously bad, but for years, immigrant- and prisoner-rights advocates have sounded the alarm about these sites in particular, describing them as separate and unequal, segregated on the basis of citizenship. “These prisons operate without the same systems of accountability as regular Bureau of Prisons facilities, and prisoners suffer,” said Carl Takei, an ACLU attorney who co-authored a 2014 report documenting the subpar conditions. Yet the full scale of the medical neglect at these immigrant-only contract prisons has remained opaque—until now. After two years of negotiations with the BOP in and out of federal court over an open-records request, I obtained more than 9,000 pages of medical records that contractors submitted to the BOP. They include the records for 103 of at least 137 people who have died in federal contract prisons from 1998 (the year after the first one opened) through the end of 2014. The records all concern men; women are sent to regular BOP-run prisons. The documents include nurse and doctor notes, records from hospital visits, psychological files, autopsies, and secret internal investigations. In their pages can be found striking tales of neglect. Each case file—sometimes hundreds of pages long—was reviewed by at least two independent doctors who rendered opinions on the adequacy of the medical care provided. Some of the case files are meager and appear to be missing pages. But of the 77 that provided enough information to render a judgment, the doctors found that 38 contained indications of inadequate medical care. In 25 of these—a third of the total—the reviewers said the inadequacies likely contributed to the premature deaths of the prisoners. In only 39 cases did at least one reviewer find indications that the care had likely been in accordance with recognized medical standards. Combined with interviews with relatives and cellmates of the deceased inmates, and with correctional officers and medical staff, the files tell the story of men sick with cancer, AIDS, mental illness, and liver and heart disease, forced to endure critical delays in care. They show prison medical units repeatedly failing to diagnose patients correctly despite obvious and painful symptoms, as well as the use of underqualified workers pressed to operate on the borders of their legal scope of practice. The files also show men dying of treatable diseases—men who very likely would have survived had they been given access to adequate care. Fagardo-Saucedo, then 43, was booked into Reeves, run by the GEO Group and a separate medical contractor, on January 27, 2009. When he arrived, the facility was in tumult. Six weeks earlier, inmates at the sprawling 3,700-bed complex had rioted, protesting the death of a man who was left in solitary confinement for a month without proper treatment for his epilepsy; he died after suffering a seizure. Four days after Fagardo-Saucedo’s arrival, the prisoners rioted again when another sick man was reportedly placed in segregation. Reeves was still recovering from the unrest when a prison physician scrawled a cursory note in Fagardo-Saucedo’s file. The doctor noted that the inmate had arrived from pretrial detention with records indicating that he’d tested positive for latent tuberculosis and had complained of headaches. BOP rules require that TB-positive inmates also be tested for HIV, but an HIV test was never performed. Indeed, over the next two years, Fagardo-Saucedo wasn’t seen by a medical doctor even once. After three weeks in Reeves, he began to show up in the clinic complaining of pain—first tooth pain, then headaches, then nausea and back pain. Over two years, Fagardo-Saucedo went to the clinic 18 times. He was seen on nearly all of these occasions by one of a rotating group of licensed vocational nurses, or LVNs. Usually, the LVN sent him back to his bed with a prescription for Tylenol or ibuprofen. Meanwhile, his body was signaling a fatal breakdown, something that doctors who reviewed his case said should have been caught by the facility’s care providers. The training for LVNs (known as licensed practical nurses, or LPNs, in some states) takes only a year. They are taught to change dressings, check blood pressure, help patients bathe, and gather basic information. They’re often hired to provide routine care in nursing homes or to assist registered nurses in hospitals. Unlike the RNs, who provide patients with substantive medical care and perform triage and evaluations, LVNs are intended as support staff. In only 39 of 77 cases did a reviewer find that the care had likely been in accordance with recognized medical standards. This is the reason that BOP-run prisons rarely hire LVNs, said Sandy Parr, a vice president in the federal correctional officers’ union and formerly a registered nurse in a federal prison. “LVNs are too limited to make sense to hire,” she said. Yet in the BOP’s immigrant-only contract prisons, LVNs often appear in the files as the sole caregivers that sick prisoners see for days or weeks. They seem to perform jobs equivalent to those of registered nurses, a practice that prison medical staff confirm. In 19 of the cases reviewed, at least one medical doctor flagged the overextension of LVNs as a factor impeding proper medical care. Martin Acosta, a Salvadoran man who served time in Reeves for illegal re-entry at the same time as Fagardo-Saucedo, began complaining of abdominal pain late in the summer of 2010. Over four and half months, he went to the clinic more than 20 times. Other than a doctor’s visit a month after his complaints began, he saw only nursing staff until the last two weeks of his incarceration; on 14 of those occasions, he saw only LVNs. Notes in the handwritten medical logs and nursing templates reveal a cascade of missed signs indicating serious illness, said doctors who reviewed the files. The prison medical staff described Acosta as a difficult patient; one thought he was simply trying to obtain a prescription for narcotics. Acosta was sent back to his room with nothing but Maalox nine times. Physicians who reviewed the files said the nurses appear to have missed the larger story of a protracted medical condition. In significant discomfort on one of his many trips to plead for help, Acosta told an LVN that he’d vomited a dark substance and had seen blood in his stool. He asked to be sent to a hospital, and the LVN took a stool sample. Leafing through the file, I expected to find a hospital referral or at least the test results. Instead, the records suggest that the LVN eyeballed the stool sample and deemed it unremarkable. There’s no indication in the files that lab tests were performed or a doctor was called. When Acosta finally saw a physician at Reeves in December 2010, he could no longer eat. He was transferred to a hospital, where a massive tumor was found in his abdomen. Acosta was ultimately diagnosed with severe metastatic stomach cancer. In early 2014, an LVN at another facility—this one run by MTC—similarly failed to complete a basic test. Tasked with evaluating a man who complained of chest pains, the LVN attempted to use an electrocardiogram machine. But he wrote in his notes that he couldn’t get the machine to work because the patient’s “skin is oily and electroids [sic] did not stick.” Rather than call a doctor, the LVN checked a box marked “No action indicated at this time” on the form for chest-pain complaints. The patient later died of a heart attack, despite subsequent treatment. Doctors who reviewed the file were divided about whether the shoddy care contributed to his death. In the aftermath of the 2008 and 2009 riots at Reeves, BOP monitors began to visit the facility more regularly to check on healthcare conditions. But the increased oversight accomplished little: Each time the monitors returned, they found that Reeves had failed to fix the problems. One year after the riots, Reeves remained derelict. “The lack of an internal system of administrative and clinical controls has contributed to the provision of less than adequate medical care,” the monitors wrote. Acosta’s common-law wife, Guillermina Yanez, showed me a photograph of him before his illness. Acosta appeared youthful and strong, his T-shirt hugging muscular arms. Then Guillermina showed me a picture taken after she and the couple’s 2-year-old daughter, Tania, boarded a bus from Atlanta to visit him in the hospital. Acosta’s frame was now skeletal, his face sunken, his chest tattoo pinned to paper-thin skin. “I asked a question to the guards: ‘Looking at him, how could you have left him to look like that?’” Guillermina recalled. Acosta died in late January 2011. In a will that a nurse’s assistant at the hospital helped him prepare, Acosta wrote: “I want the deed to my house and land”—in a small town by a river on El Salvador’s far eastern edge—“to be placed in the name of the mother of my daughter.” Salvadoran officials facilitated the return of Acosta’s body to the country of his birth. Reeves continued to fall short. The Justice Department’s inspector general, Michael Horowitz, released the results of an audit of the facility in April 2015. The audit found that Reeves’s medical contractor at the time, Correctional Healthcare Companies, had failed to meet contractual staffing obligations in the medical unit for at least 34 of the 37 months from 2010 to 2013. The BOP may have incentivized the understaffing: The financial penalties for failing to fill open LVN positions were so modest that it cost CHC less simply to leave them vacant. 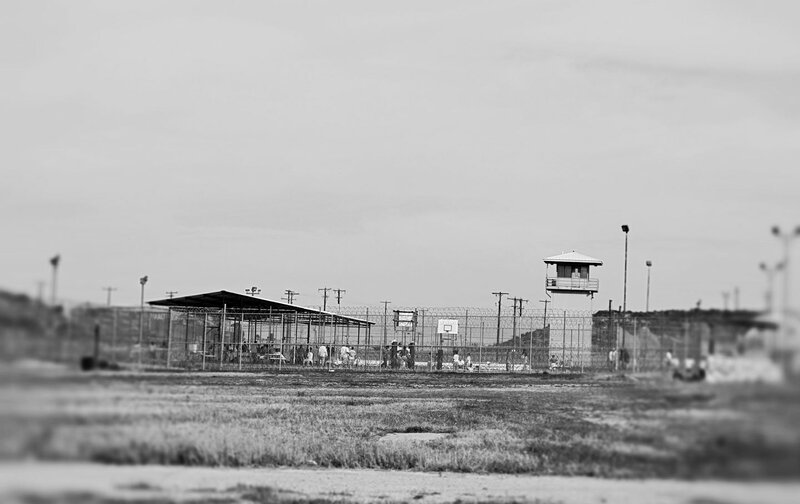 Two hours east of Reeves, the GEO group operates another federal prison, this one in Big Spring, Texas, where 3,400 noncitizens are held in a decommissioned Air Force base. GEO’s medical subcontractor is Correct Care Solutions. Gary Austin, an LVN there, was the lone medical worker on the night shift when staffers radioed to report a medical emergency around 1:30am on June 26, 2014. Gustavo Ochoa Jaen, a Honduran man serving 52 months for illegal re-entry, had been startled awake by the sound of moaning from the bed above him, where one of his cellmates, Nestor Garay, slept. “He was having nightmares,” Ochoa Jaen thought. He had become friends with Garay, who was convicted for selling meth near his parents’ modest home in California’s wine country, where he’d lived for the past 20 years. Garay, who was 39 at the time of his arrest, was popular at Big Spring: One of the few inmates whose family could afford to fill his commissary, he would share his snacks and stamps. Garay’s moaning didn’t stop, and it eventually woke the other men in the 10-bed room. They turned on the light and saw that Garay was dripping with sweat. “Half of his body was off the bed, about to fall,” Ochoa Jaen said. Garay’s eyes were fixed: a “mirada perdida,” another cellmate told me in a letter. Together, the men lowered Garay to a bottom bunk, then yelled to an officer for help. They said it took 30 minutes—15 minutes, according to prison records— before Austin, the LVN on duty, arrived at the cell. An officer who arrived first told Austin that Garay had had a seizure and nearly fell from the bed, according to Austin’s notes. The captain ordered four of Garay’s cellmates to use the mattress as a stretcher to haul him down the stairs and to the clinic, three of the prisoners said. The prison records describe a disaster once he arrived there. In the clinic, Austin wrote, Garay was unresponsive; his right hand was weak, and he was unable to focus his eyes. He had urinated on himself and was sweating profusely. Austin phoned the on-call physician’s assistant, Russell Amaru, who was asleep at his home in Midland, Texas, 45 minutes away. Over the phone, Amaru ordered Austin to administer a heavy dose of an antiseizure drug called Dilantin, the notes say. But Garay couldn’t swallow the pills, and Austin called Amaru again. The captain ordered the prisoners to return Garay to their cell. The cellmates looked at one another and refused, one by one. After a brief exchange—and a threat by the captain to send them to a segregated housing unit, or SHU—the captain ordered the men to their cell without Garay. “We went to sleep thinking they were going to give him proper medical care,” Espinoza-Zepeda said. Instead, according to Austin’s notes, he and the captain had Garay moved to another cell, where he was placed on a mattress on the floor. The LVN checked his vital signs once at 3:15 am. By the time the morning nurse arrived at 6:15 am, the right side of Garay’s face was drooping, his eyes were open but unresponsive, and his right arm was contracted. The new nurse called the clinical director, a physician, who ordered that Garay be taken immediately to the nearest ER, two miles away. It was another hour before the van left the prison. The hospital intubated Garay and performed a CT scan. He had suffered a massive stroke, hospital records show. He was flown by helicopter to Midland Memorial Hospital, 40 miles away. When Ochoa Jaen and the other men learned what had happened the next morning, they quickly began searching through Garay’s belongings for a relative’s phone number. Garay’s parents, Alvara and Indalecio, live in a neatly kept home off the boutique-lined Main Street in Napa Valley’s St. Helena. They were accustomed to hearing from their son in Texas: He’d call them several times each week to tell them about the books he’d read, the conversations he’d had about God. After Alvara’s cell phone rang at 6 am Pacific Standard Time, waking her before she went to her job as a cleaner at a local winery, an unfamiliar voice introduced himself as a friend of Nestor’s. “What happened? Where is my son?” Alvara asked. Two days after the phone call, Garay’s family gathered in his hospital room. Alvara rushed to embrace her son, who lay on his back with his eyes closed and his feet shackled to the bed. “My mom hugged Nestor, and he cried,” said his brother Enrique. “That’s something I’m never going to forget—somehow Nestor was still there.” But the doctors told Alvara and Indalecio that their son was brain-dead, and the tear was just a reflex. The machines were all that were keeping him alive. Only after Garay was declared dead did the officers remove his shackles. “It was as if they were saying, ‘If you’re still alive, then you’re under my control,’” Alvara told me later in the room where her son had slept, his closet still full of clothes. Big Spring’s own mortality review found that the care the prison provided to Nestor Garay was not not timely or appropriate. Amaru said that when his phone rang that night, Austin was imprecise. He described a man who “was responsive” but “felt weak” and was “groggy,” Amaru said. Austin wrote in the notes that Garay was “unable to swallow pills at this time.” Amaru said he understood that Garay simply struggled to swallow the large Dilantin tablet. The mortality review backs Amaru’s story, at least in part: “The information communicated to the physician’s assistant was incomplete,” it reads, followed by a recommendation that the facility’s nursing staff “be retrained on telephone orders.” But Amaru doesn’t blame Austin. “The fact is that the system—BOP and GEO—allows people to be short-staffed and in positions that they’re not properly trained for,” he said. “I am therefore operating in the dark.” Austin didn’t respond to messages seeking comment. According to Amaru, Big Spring took no meaningful action as a result of Garay’s death. Had Nestor Garay become a US citizen like his parents and younger brother, he would never have ended up at Big Spring. He would have served his time at a BOP-run prison with access to the same healthcare that the federal government provides to US citizens in its custody. BOP rules require that after-hours “coverage will be provided by registered nurses and/or EMTs, where available.” Sandy Parr, the nurse with the federal correctional officers’ union, told me that prisons generally cover their night shifts with paramedics, who are trained to deal with emergencies. “That’s what you have to deal with at night—emergencies,” Parr said. In 2008, Dr. John Farquhar retired from his longtime family medical practice in Big Spring. Boredom quickly set in, however, so in 2010 he took a job as Big Spring’s clinical director—the lone medical doctor for “3,500 bad boys,” he said. Farquhar, who left the job late in 2013, is 85 years old, tall and slim, with a military posture and a haircut to match. In the thousands of pages of medical records I obtained from the 12 immigrant-only prisons in operation as of 2014, sparse nursing notes—often from LVNs—are the norm. When doctors do appear, they often simply co-sign what the nurses write. Farquhar was different: His handwritten notes show him attending to sick patients as late as 11 pm. He’d come in on weekends and answer his phone when not on call. “He was nearly holding up a system that was ready to collapse around him,” a doctor who reviewed the files said. Farquhar often treated inmates whose health conditions were simply beyond the capacity of the bare-bones prison clinic and its stripped-down staff. But when he did request that prisoners be transferred to a federal-prison medical center or a local hospital, he was often denied. “This man will almost certainly die,” he wrote about an 81-year-old who arrived at Big Spring in 2010, and whom Farquhar tried and failed to have transferred. Donna Mott started working as a prison guard for the BOP in the 1980s and remained with the bureau until she retired in 2014. For the last seven years of her career, she supervised the performance of seven private contracts. Mott says the kinds of performance issues described in the monitoring reports and medical records are a direct result of the effort to cut costs via privatization. BOP-run facilities are obligated to manage populations in accordance with rules set forth in dozens of detailed “program statements”—rules that have produced what many consider the country’s best-run prison system. The rules require BOP facilities to provide inmates with access to educational programs, addiction treatment, mental healthcare, and rehabilitative services. But according to a review of five contract solicitations, the BOP’s agreements with private-prison operators include only a fraction of these requirements and list others merely as guides. Neither MTC nor CCA responded to questions about their operations or particular deaths at their sites. The companies say they secure accreditation from two agencies that each set dozens of standards. But a 2013 Government Accountability Office report on mental healthcare in federal prisons found that seven of the 13 contract facilities then in operation were not fully compliant with the mental-health-related standards of the Joint Commission, one of the accreditation bodies. Since the Taft facility near Bakersfield, California, which opened in 1997, was the BOP’s pilot privatization effort, it received special scrutiny. In 2005, the Justice Department released two reports on Taft, one by an outside research firm and another performed by an economist contracted directly by the BOP. The outside researchers found that GEO, then the facility’s operator, had cut costs. But the BOP-contracted economist found that even these savings were eclipsed by the extra costs to the BOP of monitoring the prison and administering its contract. Among the many rules that some contract prisons were not required to follow were the program statements that relate to mental healthcare. If they had been in effect, those policies would have guided how Taft treated Jesus Enrique Zavala Montes when he stepped off a bus on February 7, 2013, to serve a five-month sentence for illegal entry. On the bus that transported him from Arizona to Taft, run since 2007 by MTC, the 28-year-old was already acting strangely. Guards separated him from other prisoners because he thought “other inmates wanted to harm him,” records say. By the time he arrived at Taft, prison staff said he seemed nervous, continuously watching the door. Zavala’s sister Lisbia, who lives in the Mexican state of Sinaloa, told me she’s not sure when her brother’s troubles began. Sometimes she thinks they stem from their childhood—a violent father, the instability of bouncing from one relative’s house to another. Or maybe, she says, “it was just his mind.” What’s clear is that Zavala became an addict in his early 20s. When he was high—and sometimes when he wasn’t—Zavala would pace his room in his mother’s apartment, talking to himself. In 2008, he was incarcerated for more than a year in a Mexican jail after a fight and tried to kill himself while in solitary. In 2010, Zavala’s mother forced him into a rehab program, where he was diagnosed with bipolar disorder and sent home with two bottles of pills, which Lisbia confirmed were the anti-anxiety medication diazepam and a drug for bipolar disorder called carbamazepine. His mind now organized and clear, Zavala told his sister he was leaving for the United States. The next two years were marked by constant departures and returns, arrests and removals. He’d do 60 days in federal prison for illegal entry and then return to Mexico. On December 17, 2012, Zavala’s sister says, he left for the last time. He was arrested by border agents, criminally charged for crossing the border, and sentenced to five months. At 1:29 am, four days before he was scheduled to finally see a psychiatrist, Zavala was discovered dead in his cell. When he arrived at Taft, Zavala filled out a standard psychological questionnaire. In messy script, he wrote that he’d taken “deasepan” and “carmanasipin.” Speaking though a translator, Zavala told a therapy intern with a master’s degree that he had tried to kill himself in 2008. She noticed the scars on his wrists and asked why he’d done it. In the Mexican prison, “they would just throw food at him,” the intern wrote. She recommended Zavala for psychiatric consultation and therapy, but cleared him for admittance to the general population, writing that the inmate had “no debilitating mental disabilities” despite his statement that he had previously taken psychiatric drugs. A subsequent review also indicates she believed he’d been placed on a “hot list” of prisoners who may pose a danger to themselves. A registered nurse intervened and the prison’s medical doctor ordered that Zavala be held in an observation unit overnight so that mental-health staff could see him in the morning. By 9:15 am, the intern, after consulting chief psychologist Christopher Cummins, had again cleared Zavala from observation. There is no indication in the records that Cummins ever saw Zavala. “I met inmate in the infirmary to assess his mental status,” the intern wrote. “Inmate presented well.” But Zavala was not well. According to a confidential investigation by MTC, which operates Taft, in his first two days there, Zavala told a prison worker that he thought people were “out to get him.” Prison staff placed Zavala in solitary on a “protective custody” hold pending a review. That review did not take place; nor did Zavala ever see a psychiatrist. Instead, he sat in the bare room, alone. Eight days later, Zavala smashed the window of his cell and scrawled graffiti on the wall. There is no record that Cummins was alerted. 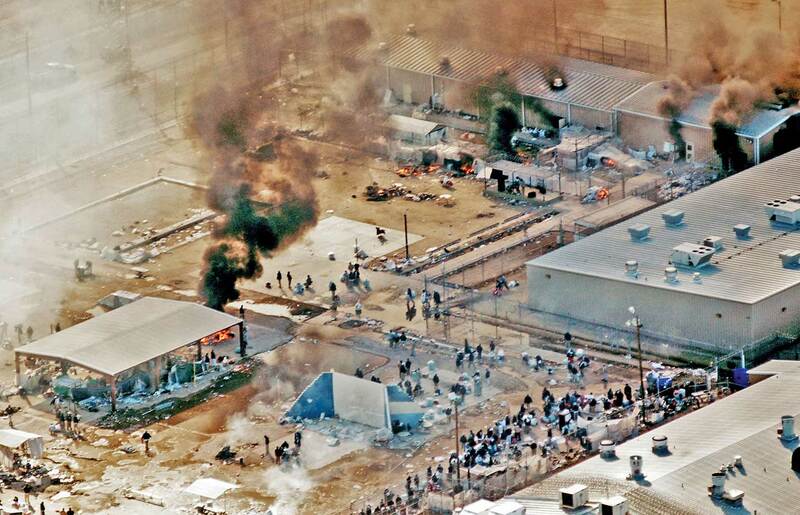 Instead, on February 22, the prison held a disciplinary hearing to punish Zavala for breaking the window. Four days later, a correctional counselor e-mailed Cummins to ask for a psychiatric referral because Zavala was suffering from stress, anxiety, and sleeplessness. Now, 10 days after Zavala had acquiesced to the voices and smashed a window, Cummins finally scheduled Zavala for a psychiatric consultation. Falling deeper into psychological chaos, Zavala used a razor to shave off his eyebrows. A guard performing the required 30-minute rounds in the SHU noticed the change but failed to report it. On March 1, at 1:29 am, four days before he was scheduled to finally see a psychiatrist, Zavala was discovered dead in his cell; an officer found him hanging from a sheet that he’d tied to the handle of the top bunk. Just six months before Zavala’s death, another inmate, Luis Alonso Zamora Villa, also killed himself at Taft. Zamora Villa had been held in a room like Zavala’s, with a window looking out over a dirt yard and a bunk bed, which he too used to hang himself. As with Zavala, his records show that he told the therapy intern he’d considered suicide before. She referred him to a psychiatrist, but there’s no indication he was ever seen by one. And although Cummins, the psychologist, saw him once, he arrived without a translator. According to the MTC report in the Zamora case, officers assigned to the SHU had in the past failed to conduct their required rounds. Zamora killed himself during a one-hour-and-17-minute span at dawn when no SHU checks were performed. 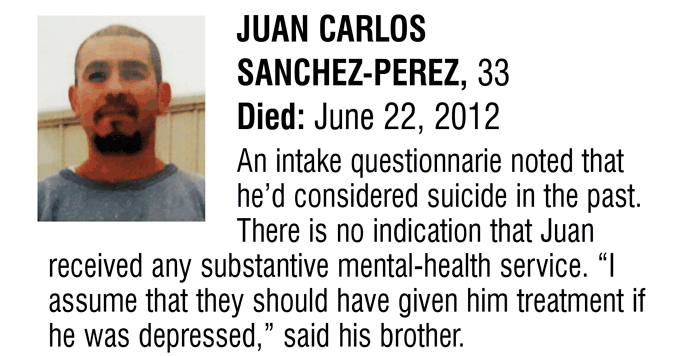 The BOP had redacted significant portions of the post-death report on Zamora’s suicide in the documents I obtained. Two months before Zamora died, the BOP warned Taft’s operators that “security procedures” in the SHU “were not always followed.” Nor were they at the GEO Group’s Big Spring prison, where five correctional officers were criminally charged because they falsely claimed that rounds were performed. There, a prisoner killed himself in his solitary cell on a night when the guards failed to perform their required rounds. Between 1998 and 2014, there were at least seven suicides in the BOP’s immigrant-only contract prisons. In Reeves, over seven months from 2008 to 2009, two men killed themselves, each in solitary cells, each using prison-issued shaving razors to slash their own necks. The therapy intern, who told me she’s working in another prison now, declined to discuss the Zavala and Zamora cases, though she remembered them clearly. She was unavailable to investigators during an internal review of Zavala’s case; she was out on extended stress leave. After ﻿Jesus Enrique Zavala Montes’s suicide, MTC's “after action” report found a litany of mental health failings that amount to what one doctor called “lackadaisical” care. I asked the BOP if it took any action after Zavala’s death. The bureau did not respond. Technically, MTC may not have violated its contract, but the company was worried about liability. The after-action review was conducted “in anticipation of litigation,” it said. No lawsuit was ever filed. Zavala’s family only learned of his death a year later, when a man from the Mexican consulate in Bakersfield, California, finally called. Zavala’s ashes were mailed in a box to a Foreign Relations office where a functionary told Zavala’s mother, Maria Elena Montes Garcia, that her son had killed himself in a prison called Taft. When I spoke with her by phone, she told me she had wondered what he’d done to find himself locked up, if it had been hell again inside. I was the first one to tell her that he’d been convicted only for the crime of trying to re-enter the United States. Unlike the BOP’s mental-health and staffing guidelines, federal authorities do require contractors to follow the bureau’s infectious-disease policies, likely due to the risks of an outbreak. In January 2008, a year before Fagardo-Saucedo arrived at Reeves with a positive tuberculosis screen, BOP monitors issued an annual compliance review to Reeves County that found at least two dozen inadequacies, largely in medical care. (The review was obtained by independent attorney Steven Raher.) Among the findings, Reeves’s medical unit had repeatedly failed to provide HIV tests to patients with past tuberculosis exposure. In their responses to the review, Reeves officials told the BOP that they understood the requirement to test TB-positive inmates for HIV was open to “interpretation.” The BOP replied that the facility was mistaken. Even in the wake of this warning, Fagardo-Saucedo was never screened for HIV. Monitoring reports indicate that other contract facilities also failed to follow the rules on infectious-disease treatment. In July 2010, six months after Fagardo-Saucedo’s arrival, monitors returned and again cited the prison for failing to properly care for inmates with tuberculosis. Meanwhile, Fagardo-Saucedo’s symptoms were growing worse: acute headaches, intense nausea, and back pain. After 17 months of steady complaints, an LVN noted that a medical doctor should see him. Instead, two weeks later, a physician’s assistant evaluated him and again sent him back to his cell with ibuprofen. Fagardo-Saucedo missed three medical appointments. An LVN simply wrote, “No show for scheduled [appointment]. Security unable to deliver.” In a review of the files months later, a BOP doctor wrote: “It certainly looks like one could locate the inmate.” When Fagardo-Saucedo reappeared in the files three weeks later, saying that the ibuprofen hadn’t worked, he told a nurse, “I want to see a doctor.” He was not seen by one. As he had for nearly two years, Fagardo-Saucedo described his severe pain and nausea. He died just days later, shackled to a bed. In mid-December of 2010, BOP monitors returned again to Reeves. This time, the deficiencies were severe enough to be flagged as a “significant finding.” “The lack of an internal system of administrative and clinical controls has contributed to the provision of less than adequate medical care,” they wrote, expressing particular concern about the infectious-disease clinics. A portion of the Reeves facility’s mortality review indicates that the prison itself knew the care it provided to Fagardo-Saucedo was substandard. At 10:30 pm on New Year’s Eve 2010, a correctional officer contacted the clinic by radio and said that Fagardo-Saucedo appeared sick and that medical staff should check in on him. As he had for nearly two years, Fagardo-Saucedo described his severe pain and nausea. The LVN he saw called a doctor, who instructed her to administer an injection of pain medicine. On his way back to his bunk early on New Year’s Day, Fagardo-Saucedo collapsed. “My legs gave out and I fell,” he told the LVN back in the clinic. After watching him struggle for the rest of the morning, the LVN called the doctor. Upon hearing of Fagardo-Saucedo’s condition, the physician ordered that he be taken to an ER. Two hours later, Fagardo-Saucedo was loaded into a security van and delivered first to a local hospital and then to another, one hour away in Odessa. There, he had a seizure. Fagardo-Saucedo died four days later, shackled to the bed, alone but for the two guards assigned to watch him. The hospital had finally screened him for HIV; he tested positive. According to a county autopsy report, Fagardo-Saucedo died of an HIV-related infection in his brain. The BOP and Reeves produced a trail of reports after his death. “An HIV test should have been offered based on his history of positive [TB] test,” the prison’s mortality review said. A BOP doctor who reviewed the case noted that HIV could have accounted for the headaches. “A more complete evaluation by the doctor…could have helped in providing an earlier intervention,” the physician wrote. In the months after Fagardo-Saucedo’s death, the BOP extended its contract with Reeves County. The GEO Group and Correct Care Solutions continue to manage the prison. In early 2015, BOP monitors cited the facility for again failing to properly follow up on positive TB tests. Seth Freed WesslerTwitterSeth Freed Wessler is a reporter in New York and a Puffin Fellow with the Investigative Fund at the Nation Institute. He is also a senior fellow at the Schuster Institute for Investigative Journalism.